Our regular readers know that springtime is travel season for your editor. So, this issue of the Trip-Wire will have to cover two months, April and May. 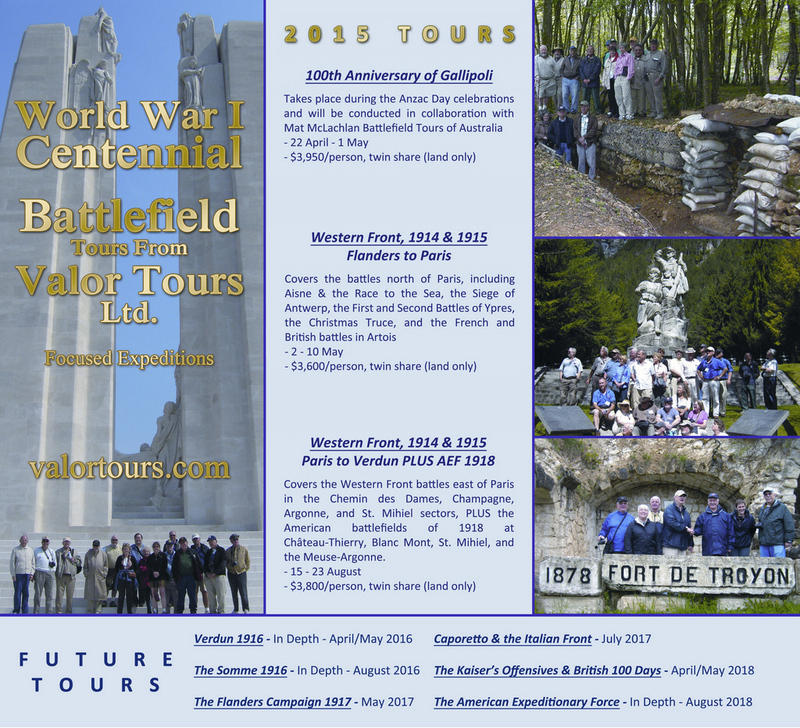 My trip during the first half of May covers the Western Front between the Channel and Paris, and like all our publications during the Centennial, parallels the events of 100 years past. We will pick-up some events of late 1914, the Siege of Antwerp, the flooding of the Lowlands, the Race to the Sea, the First Battle of Ypres, and the Christmas Truce site. We will also be stopping at the major battlefields of 1915, the British sites from Neuve Chapelle to Loos, and the French sites at Notre Dame de Lorette and Vimy Ridge. In the past, my groups always enjoyed visiting Essex Farm, north of Ypres, where John McCrae wrote "In Flanders Fields". We always have a reading of the famous poem at the site. This year, however, we will be doing that reading on the 100th anniversary of its writing. Needless to say, I'm really looking forward to that day. There was much happening 100 years ago. I hope we have provided some insights for you in this issue of the Trip-Wire. Sponsor: WFA East Coast Branch, Click HERE to download the current list. The interest in the Great War generated by the Centennial commemorations has led to an explosion of local events and ongoing displays of art and artifacts from the war. We simply lack the space here to include them all. Fortunately, however, the staff of the Centennial Commission has taken on the job of providing a list of all these presentations they hear about. We will make their current list available here for downloading and revise the document as it becomes available to us. Click HERE to download the current list. The first day of the land campaign at Gallipoli — because of its importance to the "Lands Down Under" — will forever be known as "Anzac Day." The day, however, had much more activity than the landings at Anzac Cove, including the larger assault on Cape Helles by the British 29th Division, the French landing on the Asian side of the strait, and a brilliant diversionary operation involving the Royal Naval Division at Bulair. Also, the "Anzac Day" designation excludes the most important part of the day's events, the defense by the Turkish forces on the scene, and the leadership of their key commander, Mustafa Kemal. Here is a series of articles that includes the Anzac operation but also covers the full scope of the busy day of 15 April 1915. Many of General Pershing's AEF officers had brilliant military careers ahead of them, especially in WWII. Others found distinction after they stopped wearing their uniforms. Of course, you probably knew that Capt. Harry Truman went on to be Vice President and President. Can you name these graduates of the AEF, though? 1. The other Vice President? 2. The two Nobel Peace Prize winners? 3. The two future Secretaries of State? . . .thralled and breathless, I was watching the first big infantry charge I had ever seen. It was a glorious and terrible sight, and exultant. The infantry pushed and tore through the village of Sedd el Bahr up to the fort belching fire and death from the cliff beyond. . . A man who lived ten minutes under that Turkish fire seemed to have a charmed life. Most dropping within minutes. But before they dropped they worked — ah, how they worked while they lived!  Each did his small vital bit; and when he lurched bleeding into his sea grave, a comrade, newly come, snatched up his job until he, too, died. . . Organizations and individuals in many states are starting to make major efforts to commemorate the contributions of their citizens who served in the war and also, to remember both the homefront effort and the impact of war locally. Here are four state-level projects. (We will be featuring other state projects in future issues of the Trip-Wire.) The first two presented here were initiated by dedicated individuals, the second two by state-affiliated organizations. His primary medium is video, supplemented by a very active Facebook page. He posts a new video about once per month and each features a range of topics, which he personally narrates. All these programs are accessible through his YouTube portal (address below). Speaking as a fan of Dennis's work, I can say it stands apart from the wealth of WWI treatments you can find online for two reasons. First, he is a true digger. He has found resources and accounts that no one else seems to mention these days. These include such things as the recipe for Michigan Muffins, a forgotten patriotic song titled "Joan of Arc", rare film footage of a U.S. division in action, a memorial to war dogs, and the connection between the Internet and the Great War. Also, his videos cover an eclectic range of topics. 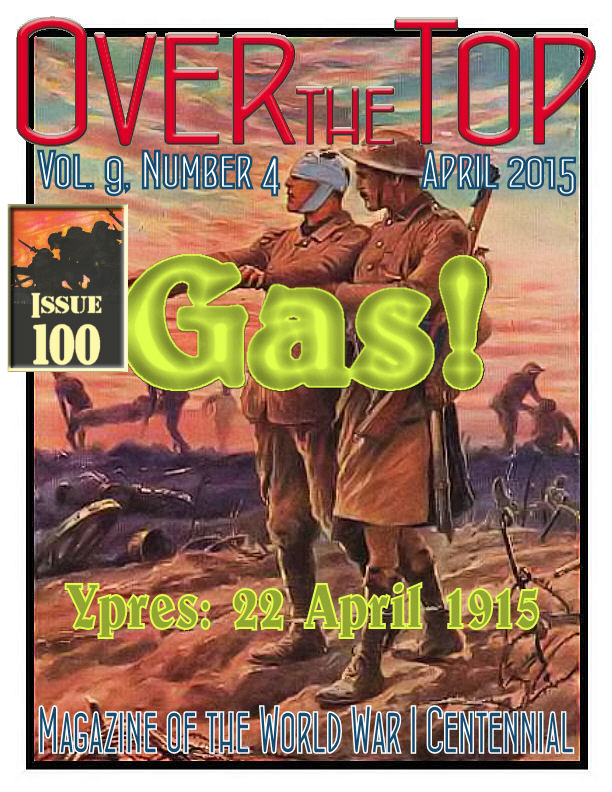 He discusses battles, women in war industries, Detroit's Base Hospital (#36), a war poem by Edgar Guest, Michigan's training camps, the Hello Girls of the Signal Corps, and — in the March 2015 edition — the famous cocktails of the war, such as the Sidecar, and the French 75. Also, Dennis seems to have access to a broad range of very knowledgeable experts, who sometimes stand in as guest commentators. 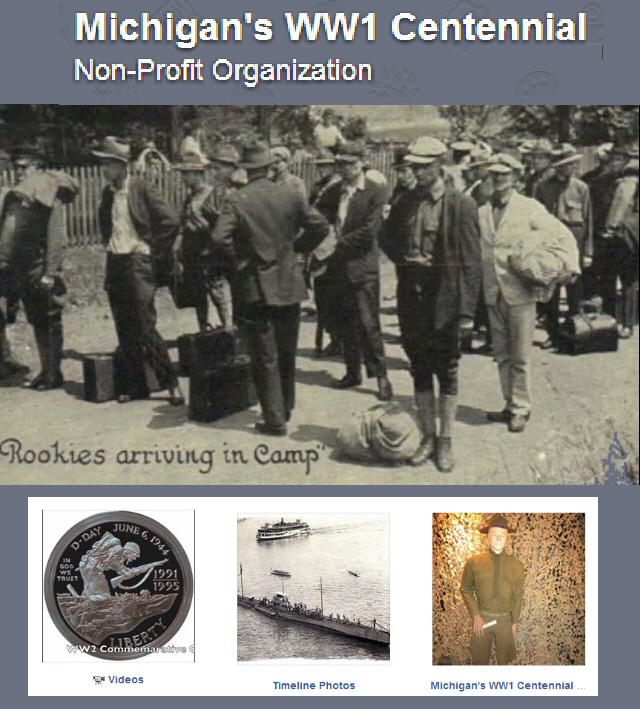 Maybe more than any other history website you find, Michigan's WW1 Centennial is just a lot of fun to visit. Another great state level commemorative project inspired by an individual has emerged in Virginia. It was initiated by Dr. Lynn Rainville and is now affiliated with the Tusculum Institute at Sweet Briar College and the Virginia Department of Historic Resources. 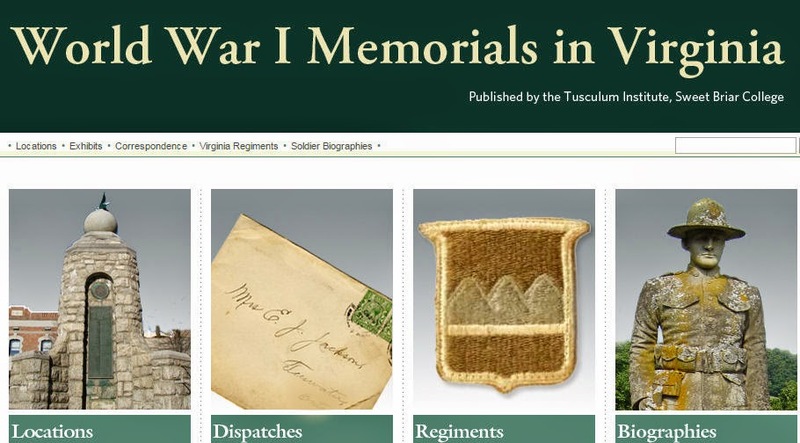 This growing site is filled with material on the Commonwealth's Great War experience. In addition to memorials, there are personality profiles, correspondence, articles, and features on the military units in which Virginians served, like the 29th National Guard and 80th "Blue Ridge" National Army divisions. 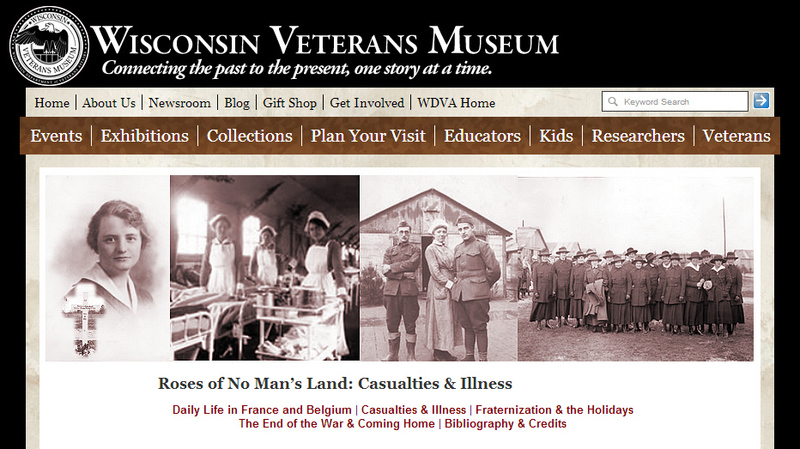 The site also serves as a portal to other Virginia World War I exhibits, programs, and websites. The war occurred at what was already a particularly dynamic time for the state of North Dakota. According to the State Historical Society, as North Dakotans marched off to serve with the armed forces or voluntary organizations like the Red Cross in Europe, the state experimented with a new political direction in the Nonpartisan League. Modern technology in the form of electricity, telephones, radios, cars, and gasoline-powered farm equipment modernized rural North Dakota. Though the war had brought high prices for farm commodities, the farm economy began to fail postwar during the 1920s, hastening the movement of people from farms to the cities of North Dakota and other states. The Society has begun gathering material on their website to help document the full range of the state's experience, including the pre- and postwar periods. 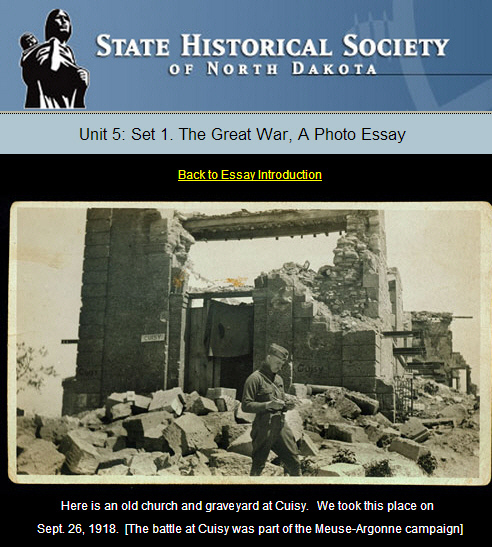 In what they call their "Unit 5: Modernizing North Dakota, 1914 - 1929", they have already gathered a remarkable photo album from a Doughboy officer, the story of a woman from Grand Forks who served as a Red Cross nurse on the Western Front, Poland, and the Middle East, accounts on the Spanish Flu pandemic, and films of life on the home front. North Dakota is off to a terrific start on the Centennial. The Wisconsin Veterans Museum of Madison has provided us with a beautifully done model for a focused project, one that covers an important aspect of the war, for both the state and the nation. Roses of No Man's Land gives a comprehensive look at the dedication, heroism, daily lives, and sacrifices of the women who went to Europe and beyond during the war to care for wounded soldiers. The text is supplemented by moving firsthand accounts. Their museum-based display and remarkably well done website show that such commemorative efforts do not need to attempt to be comprehensive. This focus on the nursing units honors all the participants in the nation's efforts. We hope, however, that the people who put together Roses of No Man's Land continue on to other Centennial topics. 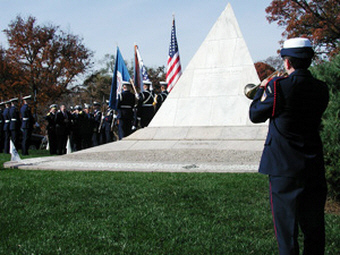 The United States World War One Centennial Commission is actively encouraging state-level and local community participation in the commemoration. If you have a project in mind or would like to network with others in your state, the commission staff would like to hear from you. You may also wish to volunteer to help the commission in their outreach efforts. The spring of 1915 featured many spectacular events: the first gas attack on the Western Front at Ypres, the landings at Gallipoli, and the German-led Gorlice-Tarnow Offensive on the Eastern Front, which would prove the greatest victory of the Great War for the Central Powers. 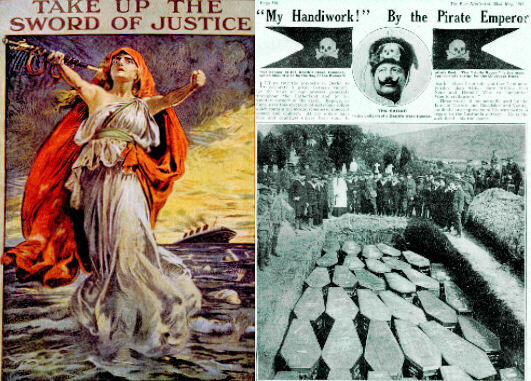 Nothing, however, happened at that time more influential to the course of the war, and, perhaps, the history of the 20th century than the sinking on 7 May 1915 of RMS Lusitania. That tragedy would dampen the isolationist impulses of America and trigger a rolling wave of diplomatic crises with Germany, accompanied by a "Preparedness Movement" as the great majority of the public concluded the nation might be forced to join the European conflict and better be ready. Travellers intending to embark on the Atlantic voyage are reminded that a state of war exists between Germany . . . and Great Britain . . . and that travellers sailing in the war zone on ships of Great Britain or her allies do so at their own risk. So read a notice from the German government that ran in 40 U.S. newspapers on 1 May 1915, ten months after the outbreak of World War I and three months after Germany declared a submarine blockade of the British Isles. On that day, the British luxury liner, the RMS Lusitania, set sail from New York for Liverpool; six days later, 12 miles off the southern coast of Ireland, she was torpedoed by the German submarine U-20 and sank. Of the 1,959 people on board, 1,195 died, including more than 120 Americans. Clear bow shot at 700 [meters] . . . Shot struck starboard side close behind the bridge. An extraordinarily heavy detonation followed, with a very large cloud of smoke (far above the front funnel). A second explosion must have followed that of the torpedo (boiler or coal or powder?). . . . The ship stopped immediately and quickly listed sharply to starboard, sinking deeper by the head at the same time. It appeared as if it would capsize in a short time. Great confusion arose on the ship; some of the [life]boats were swung clear and lowered into the water. Many people must have lost their heads; several boats loaded with people rushed downward, struck the water bow or stern first and filled at once. . . . 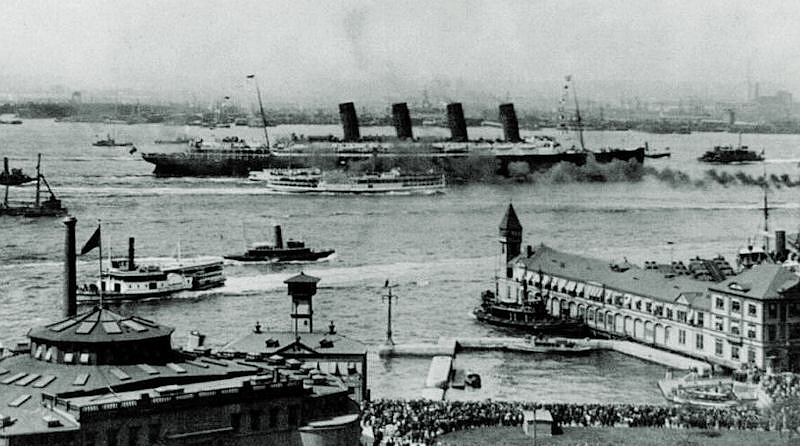 The ship blew off steam; at the bow the name "Lusitania" in golden letters was visible. The funnels were painted black; stern flag not in place. It was running 20 nautical miles. Since it seemed as if the steamer could only remain above water for a short time, went to 24 m. and ran toward the Sea. Nor could I have fired a second torpedo into this swarm of people who were trying to save themselves. LAST CALL! Our 100th Anniversary of Gallipoli Tour, to be conducted in collaboration with Mat McLachlan Battlefield Tours of Australia, NOW HAS ADDITIONAL SEATS AVAILABLE! Contact Valor Tours ASAP. A native of Guelph, Ontario, and a veteran of the South African War (1899-1902), John McCrae began the First World War as a surgeon attached to the 1st Brigade, Canadian Field Artillery, 1st Canadian Division. After undergoing a baptism by fire at Neuve Chapelle, France, in March 1915, the Canadians moved to Flanders in mid-April, taking up position in the salient around the Belgian town of Ypres. On 22-23 April in their first major battle, they distinguished themselves by holding out against the first German gas attack of the war while others around them fled. John McCrae was the officer in charge of a medical aid post, named Essex Farm, in a dugout cut into the bank of the Yser canal, a few miles to the northeast of Ypres. Here, on 2 May McCrae's good friend, 22-year-old Lieutenant Alexis Helmer of Ottawa, was blown apart by enemy artillery fire. With the parts of Helmer's body collected in a blanket, McCrae himself read the funeral service. The next day, McCrae, who had been publishing poetry for many years, completed "In Flanders Fields". Eyewitness accounts vary in detail, but agree that he worked on the poem while sitting on the back step of an ambulance near his medical aid post. In the field around him crosses marked the graves of dead soldiers, including those of Helmer and other Canadians killed the previous day. Accounts also agree that poppies grew in the area at the time and McCrae's own notes refer to birds singing despite the noise of battle. John McCrae set the poem aside to concentrate on caring for the wounded at Ypres. He took it up again that fall after leaving the Ypres salient to serve in the relatively quieter circumstances of No. 3 Canadian General Hospital at Boulogne. When at last he had worked it to a satisfactory state he sent it to the British publication The Spectator, only to see his work rejected. He resubmitted it to Punch magazine, which published it anonymously, in its issue of 8 December 1915. 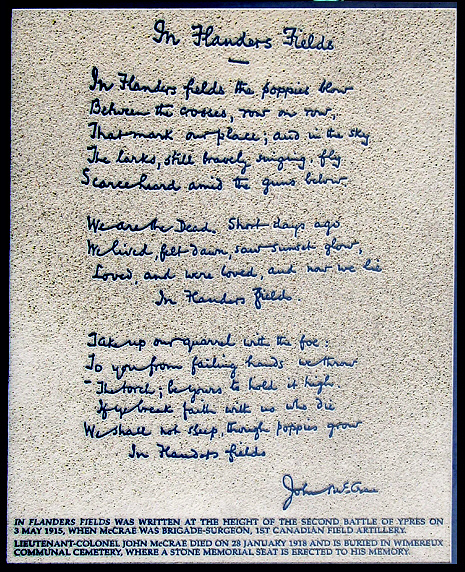 "In Flanders Fields" immediately gained popularity amongst the soldiers in the trenches as an evocative summation of their view of the war. This feeling grew as the war continued until, in the words of one writer, its images became "an eternal motif, part of the collective memory of the war". Its author, whose identity soon became known, continued to serve as a medical officer until, overcome by fatigue and stress, he died of pneumonia at Wimereux, France, 28 on January 1918. Rev Richard Griffiths served as a chaplain to the forces in the 24th Field Ambulance Eighth Division in France. He was 49. He wrote about his experiences in a detailed journal; the extract below describes the execution of a deserter. Pro: His youth, not yet 20. His circumstances — an only son and his mother a widow. His health — he repeated that his head troubled him, and he did not know what he was doing. Con: The selfishness of a man wishing other people to face dangers for him and unwilling to take his share. What right has any man to ask that? The falseness of some of his statements. 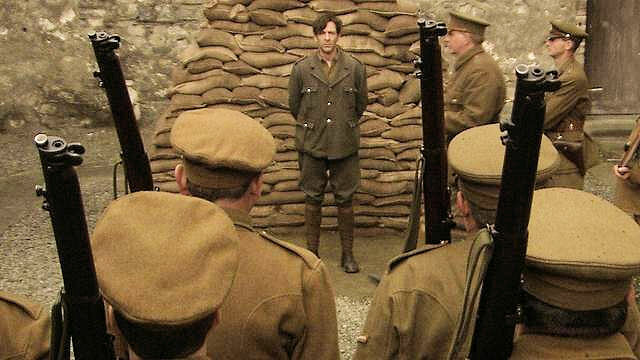 The need of discipline — on two battlefields he had run away, after being warned. The assurance that every consideration must have been weighed by the Court Martial, the Brigadier, the General, the Corps Commander, the Army Commander and the Field-Marshall — and yet one�s last lingering wonder is whether penal servitude would not have answered the offence. Those responsible have decided not. 4 June 1915, 4.30 a.m.: It is all past — the hideous business. The actual agony was over in three minutes and the burial in another five. Everyone was assembled by 3.30 a.m. He was a man who had made many scenes, and it was thought I should not speak with him again, and I felt that that was right. The sandbag bank, the hollow in front of it with the stake. The long grass and oat stalks. The trench made for the purpose, along which were lined small detachments from other battalions. The firing party about 20 paces in front. The Provost Marshal, the Colonel, three or four officers, the doctor. I put on my black scarf and stood at the side, almost too stunned to pray. Behind came the prisoner, scarcely able to walk, pleading and groaning. As he turned the corner he suddenly dashed from his guard and ran wildly across the broken ground, stumbling, panting, able in his despair to reach an astonishing speed, and for the time, to outdistance the men, laden with their equipment. He was eventually caught, and as he came back facing us, he presented a pathetic figure. He was tied to the stake. His eyes were bandaged. "Past 4 o�clock," said the Colonel to the Provost Marshal. A sudden quick crack and the huddled earthly form was separated from the soul gone to the beyond. 4 June 1915, later: The strain of this morning has been rather much. Other men have gone from us, so many now, good and gallant — known to be sinful, some of them, but redeeming so much by dying bravely. One likes to recall them at a time like this. That abject cry: "Can I have the bandage off, sir? I want to see the sky" — cut short with the sharp crack, the quiet thud, the absolute silence, the stillness. The quick "about turn" to the firing party. The swish of an enemy bullet in the long grass across the path — it was difficult to pray. When the U.S. declared war on Germany, Coast Guard vessels were transferred to the U.S. Navy. These included USCGC Seneca and Tampa (ex-Miami). Both were assigned to Squadron 2 of Division 6 of the Atlantic Fleet Patrol Forces. Their mission was to protect convoys from submarine attacks. During the war Seneca escorted 19 convoys, comprising a total of 350 vessels through the sub-infested waters between Gibraltar and Great Britain. While serving in French waters, escorting a large, slow convoy to Great Britain, Seneca's crew initiated one of the most heroic and tragic rescue attempts in Coast Guard history on 19 September. A torpedo struck the SS Wellington, a large British cargo vessel, ripping away the forward 30 feet of the ship. The crew of 36 was rescued by Seneca, but before they had even been taken aboard, LT Fletcher Webster Brown, USCG, received permission from his captain to call for volunteers to go aboard Wellington and if possible, take the ship the remaining 300 miles to Great Britain. Every man of Seneca's crew volunteered, but only 18 were chosen. 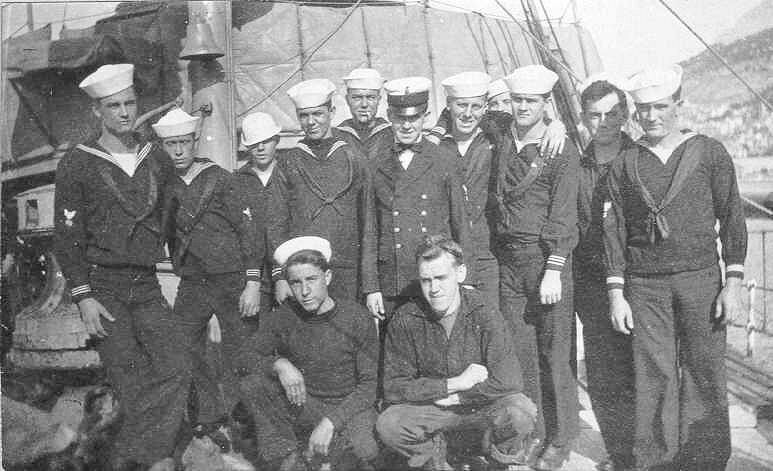 The 18 Seneca crewmen boarded Wellington and were later joined by two of the Wellington's original crew. Soon, with Coast Guardsmen manning the aft gun, engine room, and bridge, the Wellington was underway toward Great Britain making approximately 5 knots. The ship maintained the speed throughout the evening, and Seneca left her to resume her duties with the convoy. By midnight, however, the weather had deteriorated significantly, and the seas had begun to rise. Shortly after midnight the rising seas burst the forward bulkhead and the Wellington went down with ten of the volunteers from Seneca aboard. A week later, another Coast Guard vessel was lost. USCGC Tampa had previously escorted 18 convoys, comprising a total of 350 vessels, through the U-boat infested waters from Gibraltar to Britain. Her record during this period was outstanding. 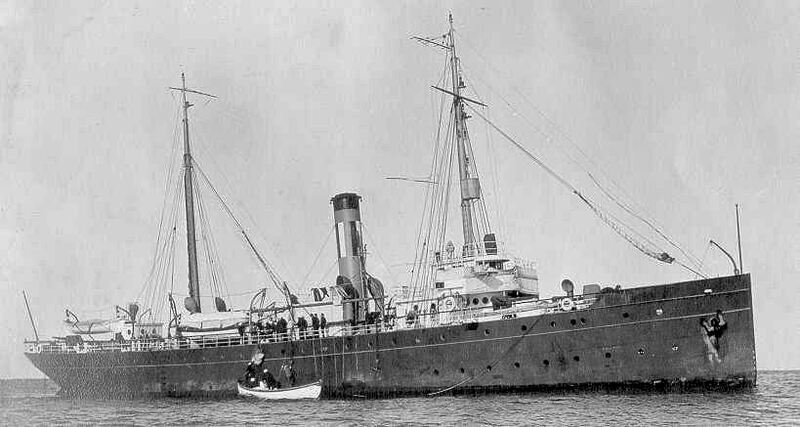 On 26 September 1918, Tampa was escorting convoy HG-107 from Gibraltar to Milford Haven, Wales. During the late afternoon, Tampa parted company with the convoy, which she had just escorted into the Irish Sea. Ordered to put into Milford Haven, England, she proceeded independently toward her destination. That evening, as she transited the Bristol Channel, the warship crossed the sights of UB-91. The U-boat made a submerged attack which sank Tampa with a single torpedo. Ships in the convoy had lost sight of her as she slipped over the horizon at about 1900, and the radio operator on board the convoy flagship reported having felt the shock of an underwater explosion at about 2045. In all probability, Tampa went down rapidly. She sank with all hands: 131 officers, crew and passengers. Search and rescue efforts over the succeeding three days turned up only a single body and some wreckage clearly identified as coming from Tampa. Two other bodies in U.S. naval uniforms later washed ashore in Wales. The lost sailors of Seneca and Tampa are remembered at the U.S. Coast Guard Memorial at Arlington National Cemetery. Trivia Answers: Vice-President: Charles Dawes. Nobel Prize: Charles Dawes and George Marshall. Future Secretaries of State: Henry Stimson and George Marshall. Future Secretaries of War/Defense: Henry Stimson, Patrick J. Hurley, Harry Hines Woodring, Robert P. Patterson, Kenneth Claiborne Royall, James Forrestal (Navy), Louis A. Johnson, George C. Marshall, Robert A. Lovett (Navy).